Following the extraordinary global interest in Scenic’s soon-to-launch Scenic Eclipse, the company has announced its flagship will be joined by a sister ship, Scenic Eclipse II. 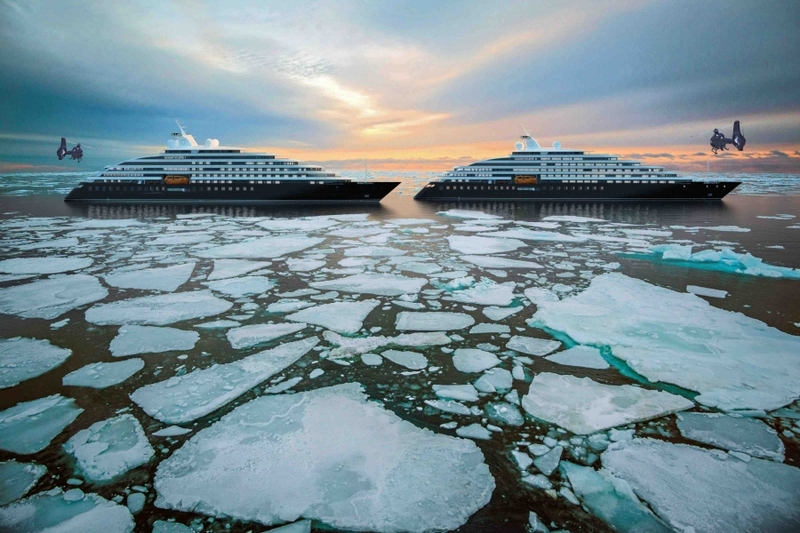 Itineraries will include remote and long sought-after destinations including Russia’s White Sea, a real treat for the explorers at heart, and a luxurious voyage that will more than satisfy those who long to experience the delights of an untamed territory; the Northwest Passage, which represents the pinnacle of Polar exploration; Southern Greenland, rarely visited with wilderness that offers some of the most spectacular and un-spoilt scenery anywhere on earth; and Alaska to Russia across the Bering Sea, to experience the stark beauty that this remote region has to offer. Building will commence next year in Pula, Croatia, where Scenic Eclipse is currently under construction. Scenic Eclipse II will be of similar design, including 114 all-verandah suites, nine restaurants, eight lounges and bars, a luxurious Spa Sanctuary, separate fitness areas and indoor, outdoor and plunge pools, as well as a marina deck, helicopters and a submarine. A video of Scenic Eclipse II is below. On 31 January 2018, Scenic Eclipse celebrated its float out from the shipyard and with the exterior construction almost complete, the ship is ready to begin the fit out process. Scenic Eclipse is on target for its debut on 31 August 2018. A time-lapse video of the build and float out is below.